E.G. “Gerry” Meyer, professor emeritus of chemistry has had a long UW career that included serving as dean of the College of Arts and Sciences and as the university’s first vice president of research. However, he is also one of Wyoming’s foremost art collectors. The family’s art collection was started by his grandmother, Anna Ilfeld, an early patron of the famed Taos artists of New Mexico. Over the years, the Meyers family added to that collection. Meyer and his family have bequeathed a significant portion of their primarily Western American art collection to the UW Art Museum. 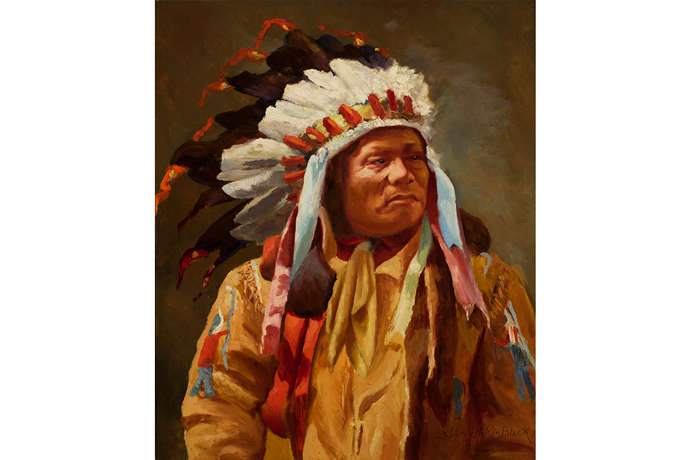 The collection of more than 50 paintings, sculptures and drawings include original works by well-known Western artists such as Frederic Remington, Charles M. Russell, Joseph Sharp, William Gollings, Thomas Moran, John Clymer, and Edward Borein. Western Legacy: The E.G. 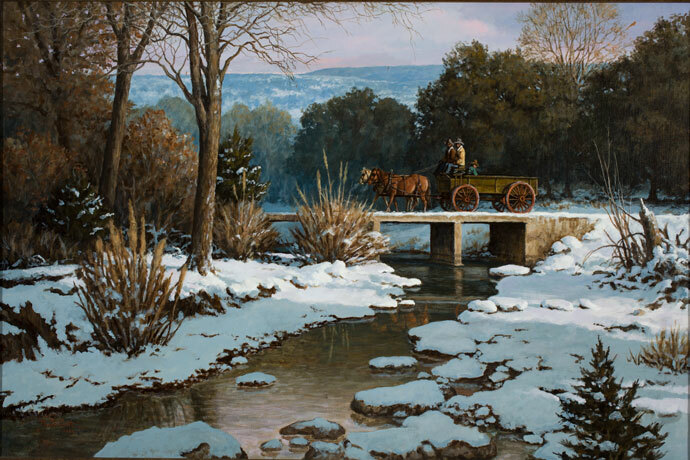 Meyer Family Collection incorporates a selection of these Western artists whose artwork spans from the early explorer artists to contemporary. This wide range of artists reveal a broad sense of the West and reveals the importance, culturally, socially, visually and historically of Western art as a vital genre of American art.